Luckyfinds: Which Kakao Friend are you? 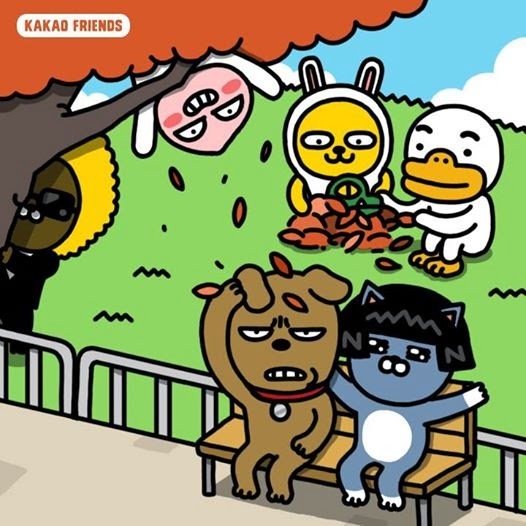 So which Kakao Friend is just right for you? 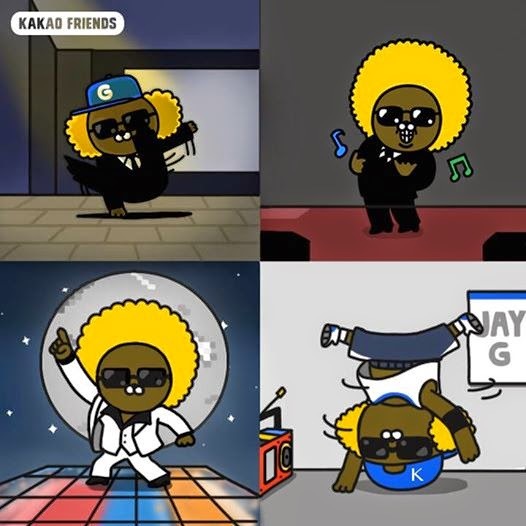 Check out the Kakao Friends profiles, then dig deep and bring out the Kakao Friend inside of you. Are you always trying to look your best? Do you keep a part of yourself hidden while secretly hoping others will notice? If you answered yes to both of these questions, then you just might be a Jay-G. Jay-G is a secret agent by day, and a hip-hop star by night. He’s always the coolest guy in the room with his signature tuxedo and dark sunglasses. Not only is Jay-G’s suit crisp, but he always makes it a point to get his hair done fresh. Yet despite all of his efforts, Jay-G somehow struggles to impress the ladies. Are you very quick to show your emotions? Are you one of those people that go from nice to angry in a split second? Are you normally a quiet person that explodes when faced with injustice? If you answer yes to all of the above, Tube is most definitely your Kakao Friend counterpart. A warm-hearted softie with an angry alter ego, Tube is definitely not your average duck. He wears large flippers to hide his small feet and turns into a fanged green duck when he’s mad or scared. Whether white or green, Tube always shows his emotions to the fullest. Are you clever and imaginative? Do you like to create . . . living things? Do you treat these creations as if they are your children? If you’re a new age Dr. Frankenstein, then you must be Con. Con, the tiny crocodile, grew a radish and a peach and transformed them into Muzi and Apeach, both of whom he carefully watches over. While living, breathing fruits and vegetables are certainly awesome, may we suggest you can channel your creativity into building things like robots and spaceships. Are you ready to do whatever it takes to conquer your fears and experience everything life has to offer? Do you love dressing up in cute costumes? Are you endlessly playful? If yes, then you are most like Muzi. Most people don’t realize that Muzi is a radish because he loves dressing up in cute bunny costumes. In his costume, Muzi’s confidence is sky-high and there’s nothing he can’t do. Muzi is also always seen with his creator-turned-sidekick, Con. Don’t be surprised if this inseparable duo soon takes over the world. Do you consider yourself to be the campus crush or a head-turning hottie? Are you charismatic and popular? Are you often worried that people might discover your flaws? Like it or not, you are quite possibly an Apeach! Apeach is the result of Con’s experiment to genetically modify a peach. Everyone loves Apeach’s hot looks, but they’re not big fans of his hot temper. If you’re like Apeach, we suggest you to match your outside with your inside. After all, real beauty comes from within, right? Do you never worry about money? Do you make sure you to soak up all the good things life has to offer? With your cool and laid-back attitude, there’s definitely a Frodo inside of you. Frodo is a city dog from a wealthy family whoalways maintains a relaxed demeanor. Every morning, he takes time to savor a cup of the finest coffee. If you have time and money to spare, then you might identify with Frodo. Does the world revolve around you? Do you put your needs before others? Do you make exceptions only for your special someone? If you’re nodding right now, then you must be a Neo. Neo is a selfish, vain cat who prides herself on the perfect bob of her wig. She only compromises for Frodo, the one and only love of her life. Neo and Frodo’s relationship is pure drama, as they’re constantly fighting like cats and dogs. Still, they’re never apart, and they always find ways to settle things between them. Neo rides with Frodo no matter what.